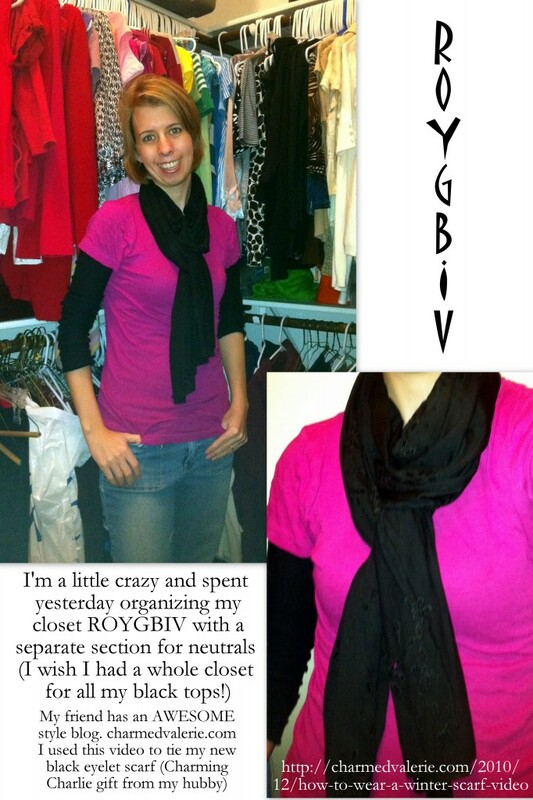 I’m a little crazy and spent yesterday organizing my closet ROYGBIV with a separate section for neutrals (I wish I had a whole closet for all my black tops!) My friend has an AWESOME style blog. http://charmedvalerie.com I used this video to tie my new black eyelet scarf (Charming Charlie gift from my hubby) http://charmedvalerie.com/2010/12/how-to-wear-a-winter-scarf-video/ Thanks!